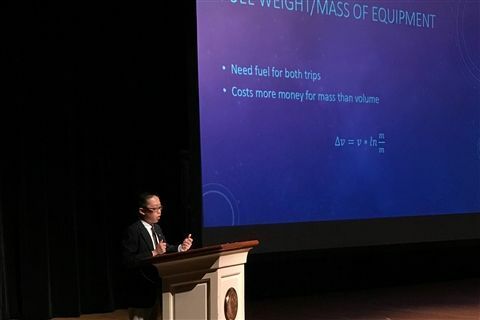 Ethan Jiang ’21 gave an informative presentation to our middle school entitled “The Human Journey to Mars.” Ethan’s topics included long-term sustainability on Mars, calendar discrepancies with Earth, and the rocketry needed to get there. Ethan did his research as a Junior Research Fellow. This independent study program provides the opportunity for middle schoolers to pursue high-level research on a chosen topic. Nice work, Ethan!